Hi, welcome back! You will find this edition packed full of news and information. My favorite authors will tell you in their own words their news and upcoming releases. I have listed all the current and upcomings releases for fall and into 2000 in The Fall Wish List. This list can also be found on the homepage and at the bottom of this page. JILL BARNETT: "WICKED is the last of a medieval trilogy in 13th century Wales and England. it's a taming of the shrew story and probably the funniest of all three." JO BEVERLEY: "Zebra will be reissuing the first 3 Rogues stories. AN ARRANGED MARRIAGE will be December 1999 with UNWILLING BRIDE in December 2000 and CHRISTMAS ANGEL in December 2001." Jo said there is a possible regency historical, and a spin-off of the Rogues as well in the future. DEBRA DIER: "BEYOND FOREVER is about a handsome Scottish ghost who takes a woman (1999) back in time (1818) in search of a miracle. Julia meets flesh and blood Gavin, the love of her life. Unfortunately, he died 100 years before her birth." 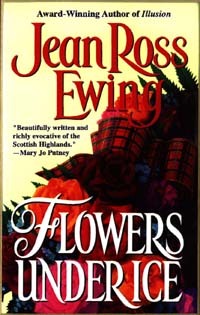 JEAN ROSS EWING: "MY DARK PRINCE (9-00) has a hero with real absolute power, wedded to duty, his arranged bride kidnapped and finds himself falling for an impersonator." ELISABETH FAIRCHILD: "THE HOLLY AND THE IVY (11-99) - irrepressible Mary Rivers finds her grandmother's neighbor, the prickly Lord Balfour dislikes smiles and Christmas. Can she change his humbug feelings?" Elisabeth wanted to say that she has written Roger Ramsey's story and is hoping an editor will get excited over it and let us know his story, too. I hope so, his character yearned for a story! DANELLE HARMON:"THE DEFIANT ONE is coming out Spring 2000. I've begun work on Lucien's book (the crown of de Montforte series) and it is scheduled for release December 2000." MIRANDA JARRETT: "SUNRISE (early 2000) will be the last of the first generation Fairbournes. It will be that last mysterious brother - Daniel's story. After SUNRISE, I'm planning the second generation books. First is Anabelle's and Joshua's oldest son Alexander who goes back to England to settle a bit of his mother's unfinished business with her estranged aristocratic family. It doesn't have a title yet - see my website for more details." EMMA JENSEN: "THE IRISH ROGUE (12-99)- can Dublin society survive a Robin Hood-like bandit and a free spirited female artist?" 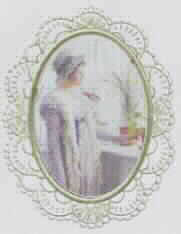 Emma's HIS GRACE ENDURES, a 1999 RITA award winner; BEST LAID SCHEMES was a 1999 RITA finalist. SABRINA JEFFRIES: "THE DANGEROUS LORD (3-00) is the sequel to THE FORBIDDEN LORD. The first book of my new Swanlea Spinsters trilogy, tentatively titled "THE MAN OF AFFAIRS is scheduled for January 2001 from Avon." LYNN KERSTAN: LORD DRAGONER'S WIFE - An arranged marriage...desertion...divorce? Is this any way to fall in love?" APRIL KIHLSTROM: The Langford brothers have made a pact not to marry... Phillip's story is told in THE RECKLESS BARRISTER, see how James Langford "Lord Danton" meets his fate in THE WILEY WASTREL (10-99)and Col. Harry Langford in THE SENTIMENTAL SOLDIER (1-00). LAURA KINSALE: She is working on a sequel to FOR MY LADY'S HEART. SUSAN KRINARD:"TOUCH OF THE WOLF" (10-99) is the first book of werewolf trilogy. PASSION OF THE WOLF (#2) is set in New Mexico Territory 1878. Rowena, sister of heroine in TOUCH OF THE WOLF has fled England, wanting nothing to do with her werewolf blood. She's kidnapped by "El Lobo", Tomas Alejandro Randall, deadly enemy of the man she's to marry. Rowena's twin brother Quentin is story #3. Eventually, I hope to have a whole "family tree" of my werewolf families. The heroine in TOTW, Cassidy Holt, is sister of the direct ancestor of Kieran Holt, hero of PRINCE OF SHADOWS. 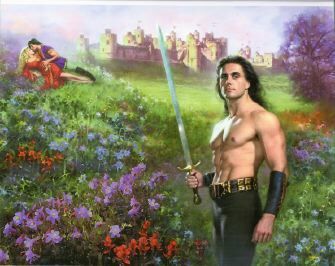 Tomas Alejandro Randall is the ancestor of Joelle Randall, my heroine in PRINCE OF WOLVES. I've also introduced a Texan werewolf family, the MacLeans in TOTW and I hope to give Weylin MacLean his own novel one day." JUDITH A. LANSDOWNE:"MUTINY AT ALMACK'S (10-99). My first series: THE LORD NIGHTINGALE SAGA will be published as follows: LORD NIGHTINGALE'S DEBUT (9-00), LORD NIGHTINGALE'S LOVE SONG (10-00), LORD NIGHTINGALE'S TRIUMPH (11-00) and LORD NIGHTINGALE'S CHRISTMAS (12-00).